Tipton County TN is the county directly north of Memphis and Shelby County. Created as a TN county in 1823, Tipton County includes the towns of Atoka, Munford, Brighton, and Covington, among others. The population of Tipton County is 62,000. Tipton County, TN has a county-wide school district. Tipton County Schools has 6 elementary schools, 3 middle schools and 3 high schools, with a total student population of over 11,000 kids. Tipton County residents enjoy low taxes, low crime, quality schools and close proximity to Memphis and Shelby County. I know it’s important for parents to be able to search for their new home based on school district. 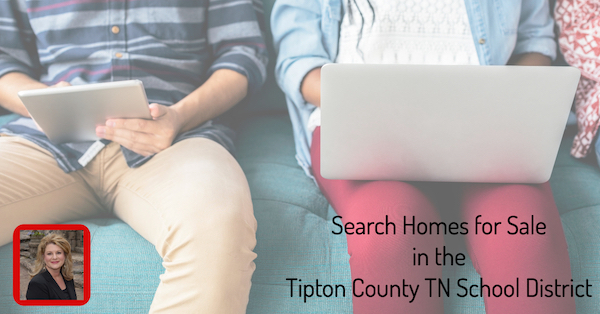 This page of my website allows you to search for available properties for sale that are located within the Tipton County Schools district lines.